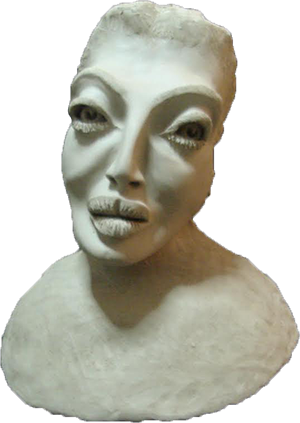 Lidia Russo is an exceptional Italian sculptress from Naples and her work has been exhibited all around Europe including the famous London Art Biennale 2013. Russo's is currently represented by the Gagliardi Gallery, a London art gallery established over 35 years ago in the British Capital. Russo's work has also been selected and shown in museum exhibitions such as the Biennale at the Chianciano Art Museum and the Chianciano International Art Award. 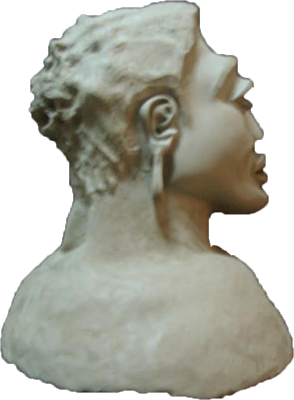 The sculpture featured on this page is a new work by internationally renowned artist, Lidia Russo. The title is "Il Futuro di una Donna Determinata e Persuasiva" which in Italian means "The future of a determined and Persuasive Woman." This is a wonderful demonstration of the power and passion that this artist is able to capture and we look forward to seeing further developments. Russo is still planning the next steps for her art but we can rest assured that they will be exciting and thought provoking as ever.